Planning a wedding is a complicated process that takes a lot of effort and time. There are many things to take care of like the reception, venue, bridal flowers, veils, bouquet, shoes, and bridal accessories just to name a few. But most important of all is the wedding dress. You have to first buy a wedding dress and then everything else follows. There are various types of pretty wedding dresses that you can choose from according to the body shape you have and knowing this will make it easier for you to shop for one. A classic silhouette is an A-line dress. It has a tapered top, flared skirt, and sloped waist. If you have heavy hips and waist, this is the one for you. Another type of silhouette is the Ball Bridal Gown. It has a fitted bodice with a traditional full skirt layered with fabrics such as Organza ruffles. The bodice is usually embellished with beaded lace motifs. You can likewise buy an Empire Waist dress which is tightly fitted around the bust line and a bodice that falls straight. A bride with a small bust should have this type of silhouette. Last but not the least is the Mermaid Wedding Dress which is fitted on top and then widen out at the knees. If you have small waist and bust, this is the gown for you. 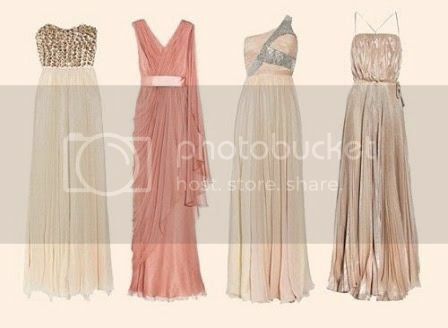 Weddingshe.com is an online store where you can purchase stylish and beautiful wedding dresses at a cheap price. Choose from a wide selection of silhouettes, designs, colors etc. If you want vintage looking gowns, they have it, on the other hand they also have the latest beautiful wedding gowns. If you are not in a hurry to get married, you can check out their 2015 Wedding Dresses category which you can see more of at http://www.weddingshe.com/list/Wedding-Dresses-2015-112577/. They also sell wedding party dresses, wedding accessories, special occasion dresses, and shoes available at amazingly low prices. With Weddingshe.com, you are sure that you are getting your money’s worth since all their products are of high quality.